Cihak began his new role leading TriStar Centennial Medical Center on Dec. 1, 2016. 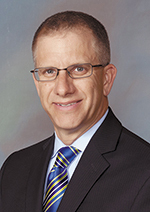 He has more than two decades of progressive executive leadership within HCA hospitals in Florida including serving as CEO of Kendall Regional Medical Center, CEO of what is now JFK North Campus in West Palm Beach, COO of Westside Regional Medical Center, and COO of Palms West Hospital. A Fellow of the American College of Healthcare Executives, he earned both his undergraduate degree and MBA from Florida International University.